No matter what brings you to psychotherapy, horses can help you develop revolutionary awareness and bring about the change in your life for which you have been aspiring. Clients in equine-facilitated psychotherapy typically seek help for a plethora of issues and challenges which psychotherapists have been working with in conventional, talk-therapy, such as anxiety, depression, anger management, PTSD, challenges in the couple or family,and sexual or physical abuse. ​​The main difference with other therapies is the harmony between the human client and the equine facilitator. Horses spark you to step out of your comfort zone. 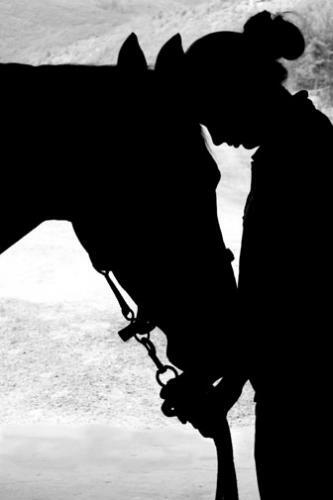 You may delude your therapist, but you can’t ever delude horses — they are big, instinctive, and they read human behavior and emotion very well. More importantly, horses are forgiving and nonjudgmental. 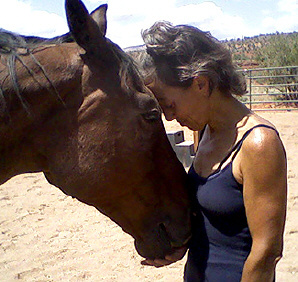 ​​In this marvelous healing journey, horses will help you expand your horizons, uncover insights, realize your authentic self, promote confidence, define boundaries, and identify and utilize your inner strength. Horses help you become who you truly are. 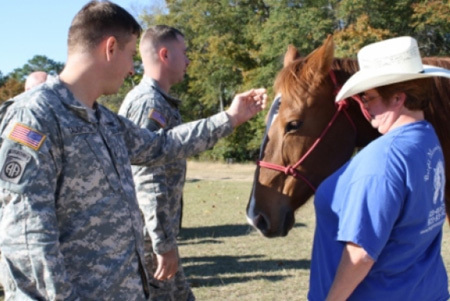 ​​Through equine therapy, you learn new skills and explore deeper layers of yourself. Whatever you learn with horses will enhance your everyday life – at home, at work, in your social relationships, and in your relationship with yourself. Equestrian experience is not needed. Therapy consists of groundwork only.